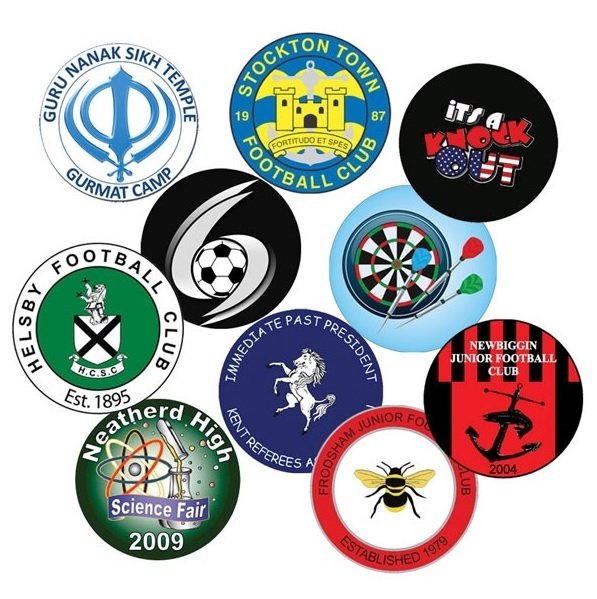 Have your team badge, logo and/or text. Available in 2 sizes, 1 inch and 2 high, full colour and domed with an acrylic cover. The 1 inch centres are available in singles or a sheet of 54 centres.